Do you see that title? 300 Sunday Selections posts! That's a bit more than five and a half years. 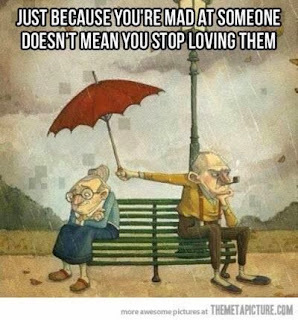 "Just because you're mad at someone, doesn't mean you stop loving them." Some of you may know Murr, you see her listed on my sidebar about once a week, as murrmurrs. Maybe you've clicked on that and read some of her hilarious posts. We've never met in real life and probably never will, but I enjoy her blog immensely and call her my friend. 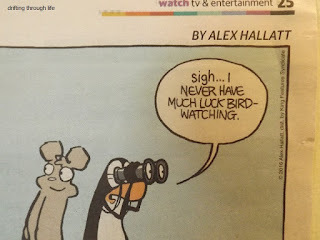 Murr Brewster is a bird watcher and when I saw this cartoon in the Sunday Paper, I knew I had to post it here for her. so here it is, just for you Murr.